Chennai is developing rapidly over the past few years and this has caused residential property prices to rise quickly, making it one of the fastest among the cities in India. Earlier buyers in Chennai were hesitant to settle down on the suburbs, but this has changed after the development of the IT corridor. Many people are moving away from the core of the city and migrating to regions like OMR and ECR which have become hotspots for real estate developers due to the immense demand for luxury apartments in Chennai OMR. 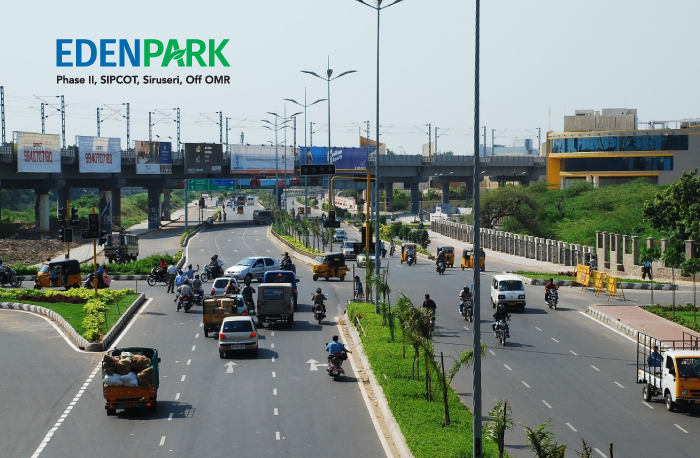 As per the latest trends, OMR is becoming the great Chennai dream. The real estate development around this stretch from Madhya Kailash to Siruseri has massively improved with massive infrastructures that highlight the incredible development this region has witnessed. However, prospective homebuyers are always caught in a dilemma as they have to choose between these two regions. Both the places have high potential but there is a reason many are opting to invest in OMR and not ECR. Let’s look at some of the reasons why investment in OMR is way better than investing in ECR. One of the main reasons why investors are opting to go for OMR is the massive infrastructure development like water and sewage connections on the road. This ensures that the region doesn’t get inundated during the monsoon season. This is due to the fact that the State government has given top priority for fixing the sanitation and plumbing issues to make the residents live hassle-free. Apart from that, priority has been given to the construction of the highway connecting Pallavaram and Thoraipakkam for unbeatable connectivity to the GST road. 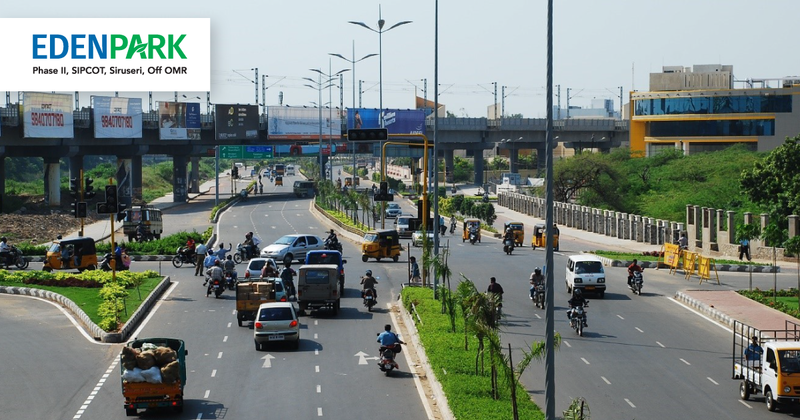 The entire stretch of OMR which includes Madhya Kailash to Navalur has great connectivity to the interiors of the city like Adyar, Guindy, and Saidapet. In addition to that, there is the presence of suburban railway services and bus services that offer effective transportation to each and every corner of the city. There is also a proposed railway line from Chennai to Pondicherry which goes through Cuddalore, Sholinganallur, Thiruporur, and Mahabalipuram which would be an added boost to the OMR region. OMR is an IT hub, which is one of the reasons why there are a lot of IT/ITES companies. Many multi-national companies, as well as reputed Indian companies, are located in OMR. 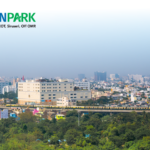 One can reach TIDEL park within 10 mins through OMR, but it takes more than 20 minutes to reach the park through ECR. Moreover, OMR has way superior transportation facilities compared to even GST road. Let’s be honest, no one wants to live in a crowded urban city filled with a lot of traffic and not to forget the excess pollution that residents have to face during peak hours. Every individual after a hard day’s work prefers to live in an environment that is free from all the noise and air pollution. OMR is the perfect place where you can unwind in peace as this region is filled with serenading beautiful landscapes that offer breath-taking views. The advantage with the flats in OMR is that it can easily connect the ECR road, where one can immerse themselves in scenic coastlines. ECR can be accessed from OMR through multiple link roads. OMR is the most sought-after location for frequent travellers due to its proximity to the Anna International airport. 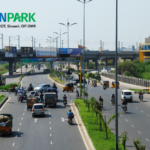 Aside from the fact that it is the IT hub of Chennai with most of the IT parks like TIDEL park, Ascendas and RMZ Millenia are situated in and around the region. With its strategic location near the IT hub, many working professionals are preferring to reside in this region. Driving is a very pleasant experience in most of the regions of OMR, where most of the residential projects are located. Social infrastructure development is astounding as some of the best hospitals, educational institutions, and shopping malls are located in OMR. Due to its infrastructure and its location, OMR has become an attractive investment option for MNCs, home buyers, real estate developers, and investors. Over the past five years, properties in OMR has witnessed the rapid appreciation of about 50 % and 21 % hike in property value. As per real estate experts, 1 acre of land on OMR costs Rs 75 lakh to 1 crore in 2010, now it costs four times more than the original price. This appreciation has affected nearby regions as well such as Kundrathur, Mudichur, and Perungulathur which has seen a rapid price increase. This has led to an increase in the number of flats for sale in Siruseri. 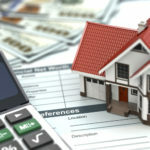 Therefore, purchasing property now will ensure that your property will get appreciated in another ten years. There is a guarantee that even if you don’t shift there it is still considered a great investment option. 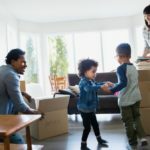 Because of the IT boom in this region, there is a strong demand for rental properties in this region. 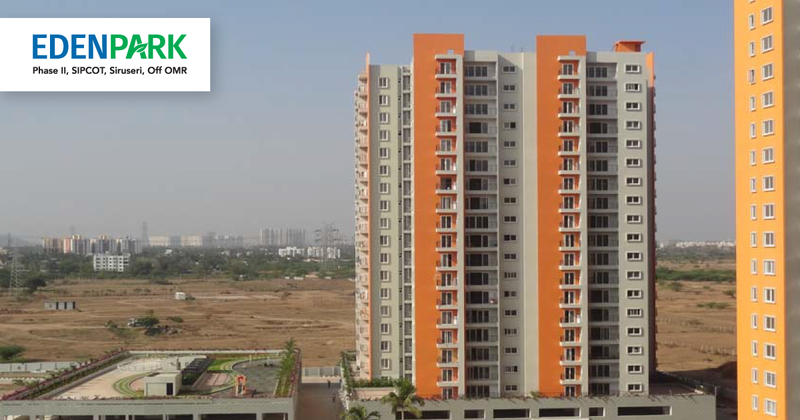 A single 2BHK apartment will earn a rent of 15,000 to 18,000. If your main aim is to rent out your apartment then OMR will be ideal as the demand for apartments in this region is very high. 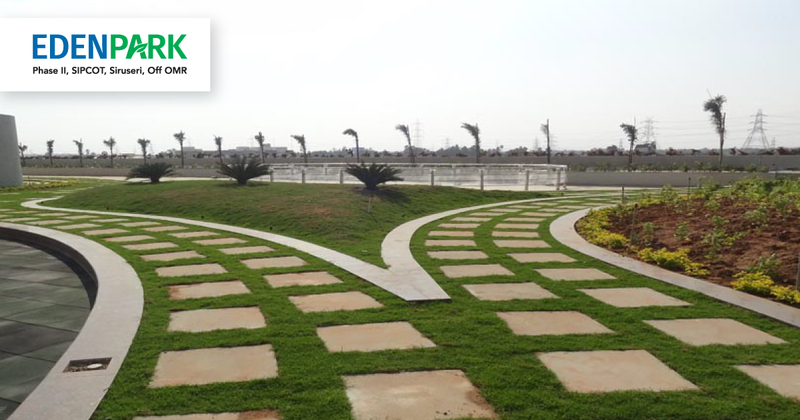 Most of the projects that come up in OMR has access to some World-class amenities. Depending on the project that you are choosing, the amenities vary from swimming pool, gym, mini-theatre and spa. Take the example of Eden Park Phase-II which has some extraordinary features that will make the residents feel the other side without any significant stress. 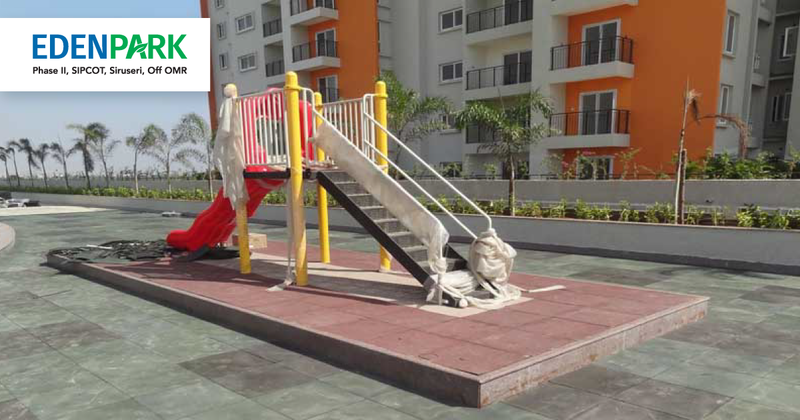 The amenities are meant to enhance the living experience by adding more layers of comfort, fun and recreation. Most of the apartments in OMR are townships and include most of the amenities including ATM, medical stores and even shopping malls. This makes life easy for the residents since they do not have the time to go out or worry about the basic necessities. Aside from that these apartments would also give you the opportunity to mingle with neighbours, thereby allowing you to lead a better social life. This is not the case with properties in ECR as most of the posh apartments are located very far from the city limits which makes commuting extremely difficult for working professionals. With the presence of so many restaurants and futuristic amenities, OMR is guaranteed to give an elegant touch to your home. The residential projects in OMR are proven to have an excellent return on investment and are filled with classy architectures as well. If you are looking for long term investments then OMR is the premium destination for you.